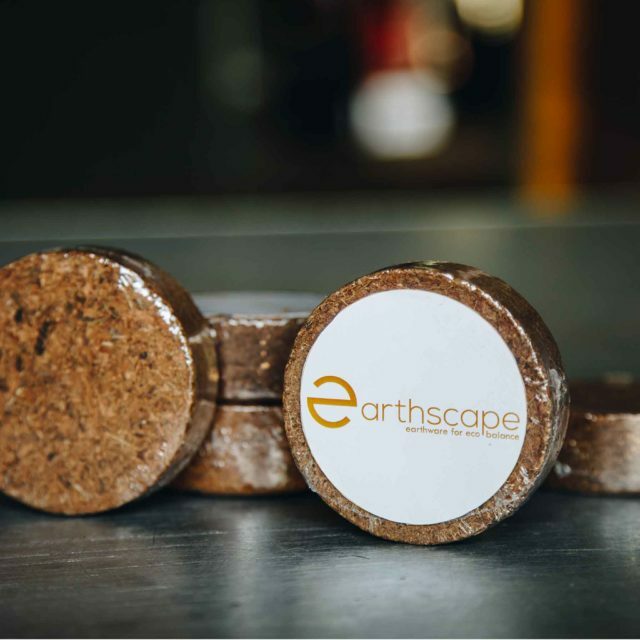 Our coir disks are a carefully blended potting soil mixture (completely tailored to your plants and situation if necessary). 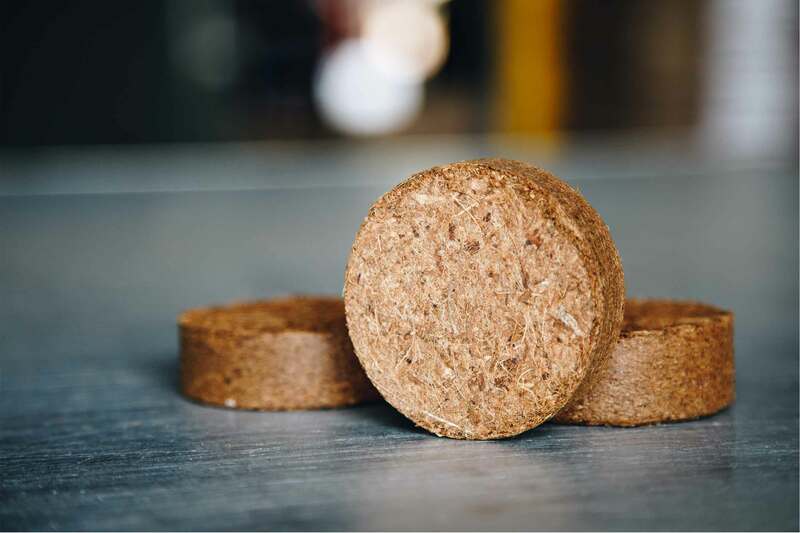 The coir is dried and compressed into a compact disc, with a special hole for a plug where appropriate. When you wet this disc, it swells up to produce the required potting soil mixture. All you need to do is place the disc in a bucket and the water will do the rest. The discs are available in various sizes. 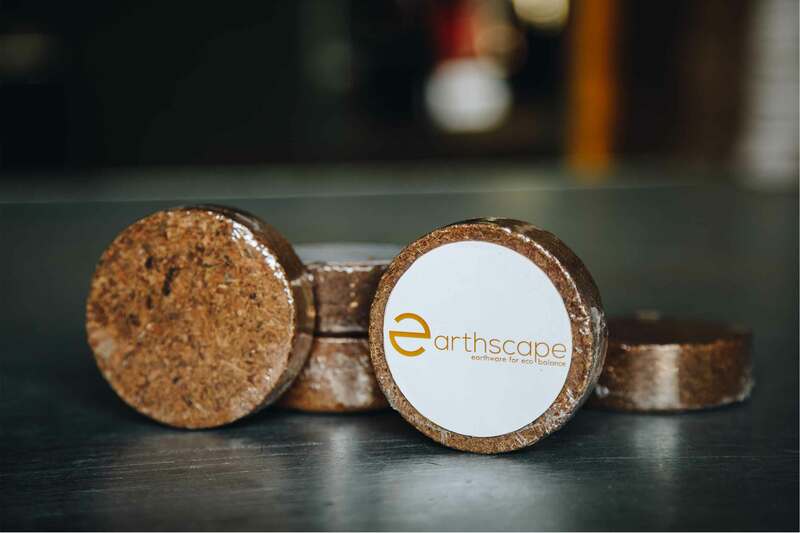 The coir disks protect the essential elements of the soil and helps to keep the plant well hydrated and give the roots access to more airflow. 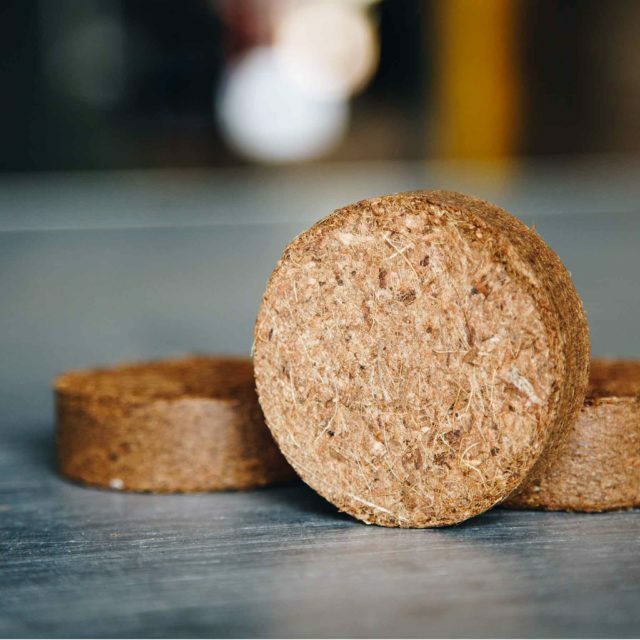 This unique product is a disk of compressed coir & husk chips, which is specially washed . The diameter of the disk when compressed is 18cm with a dripper hole of 5.5 mm. Once hydrated the product expands to 16 cm in height. This is ideal for growing soft fruits such as berries and we currently export this product to many customers in Europe.